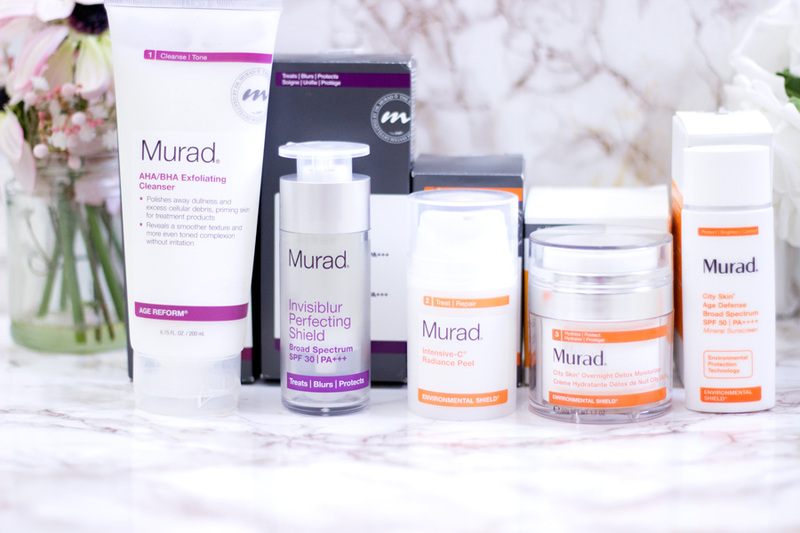 If you follow me on Instagram, you would have seen me feature Murad Skincare products on there because I have been enjoying using them all. I was very kindly sent a generous amount of skincare products to try out. Now that I have used them for a pretty long time and even traveled with them a couple of times, I think it is time to share my full review. 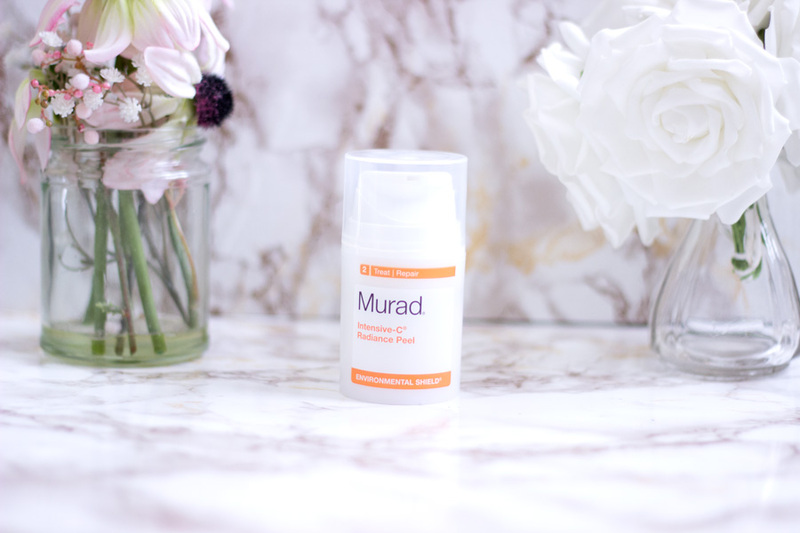 Murad Skincare was founded by Dr Howard Murad who is a world renowned Dermatologist with a wealth of expertise and knowledge in his field. 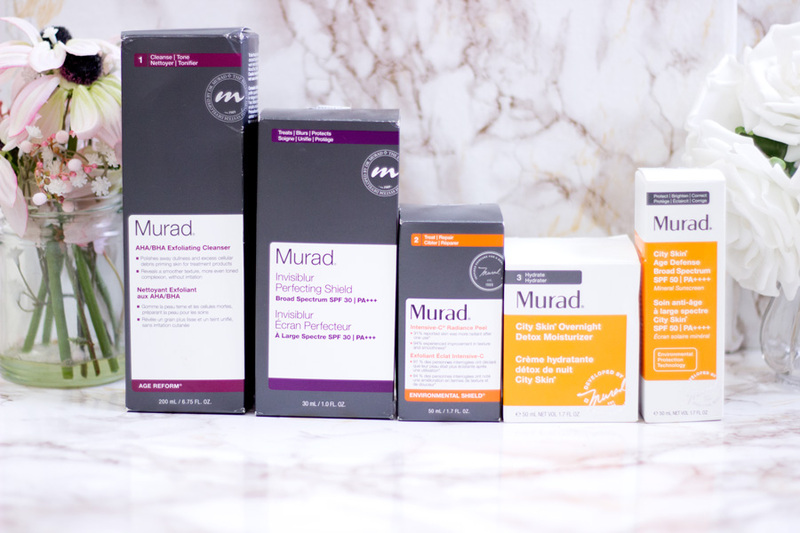 All Murad products are backed up with over 30 years legacy of research and clinical testing and that's exactly why they are so effective. They do what they say on the bottle and have surpassed my expectation. As a pharmacist myself, I was so delighted to read that he is also a trained pharmacist and I feel so proud of him (although I don't personally know him). You can read all about him over here. 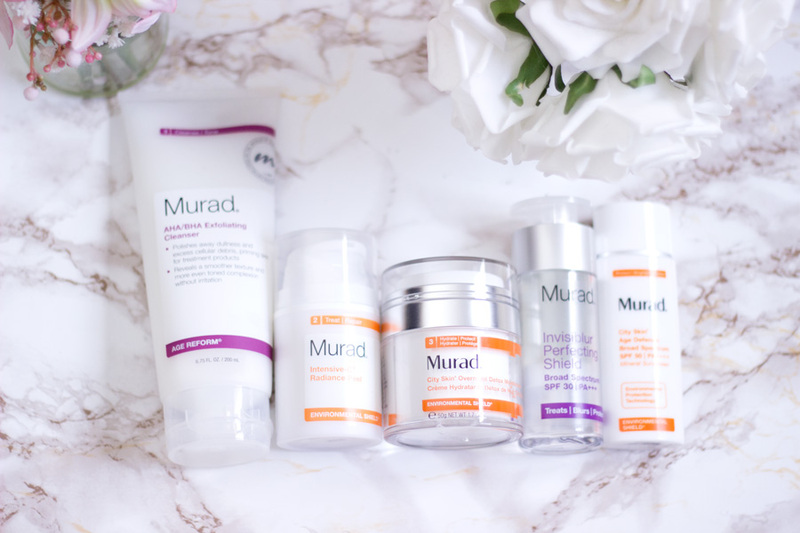 With the Murad products, there is something for everyone, every skin type and every skin concern and I love that they also have a mini consultation quiz on the website to help you narrow down your choices. 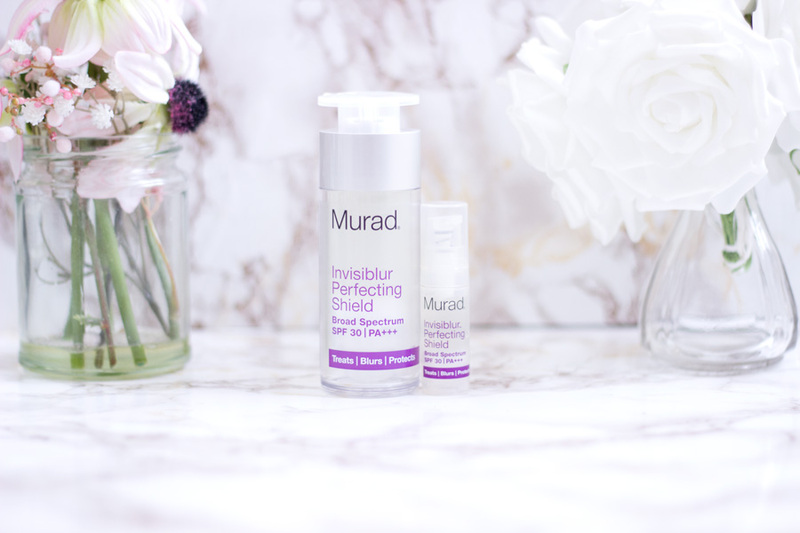 I have to say that the Murad Skincare packaging is very modern and I absolutely love it. Without doubt, you can tell that a lot of thought went into the development of the packaging. They have infused modern technology with practicality to ensure that the products are amazing. I have noticed that they have ensure that there is very little room for cross contamination with their packaging because there is minimal contact with your fingers and the air. I am very impressed with the packaging. 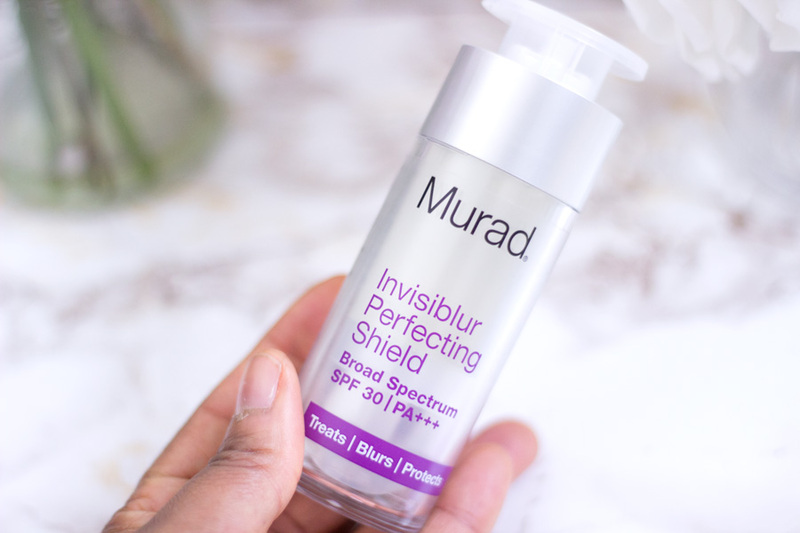 The Invisiblur Shield Primer has an airless pump system which lets the product out and prevents any air from getting in. 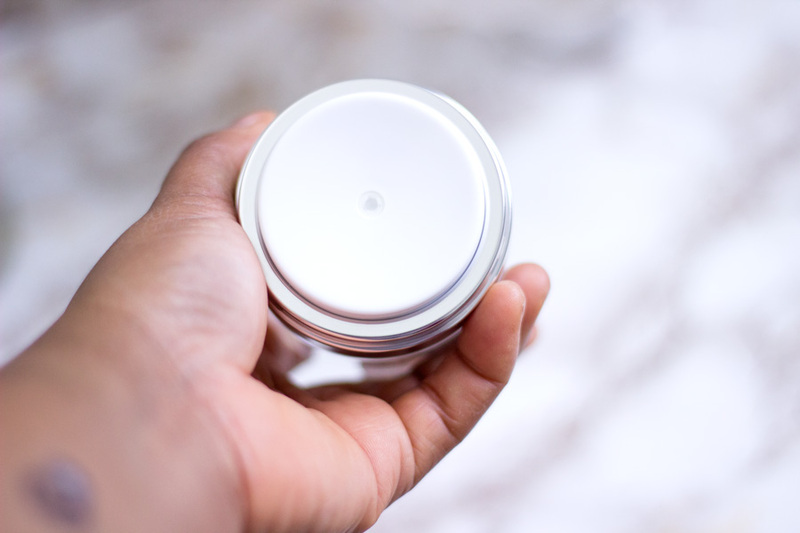 The Sunscreen has a tiny tip which prevents any cross contamination from fingers or the air and allows the right amount of product to be dispensed at each time. 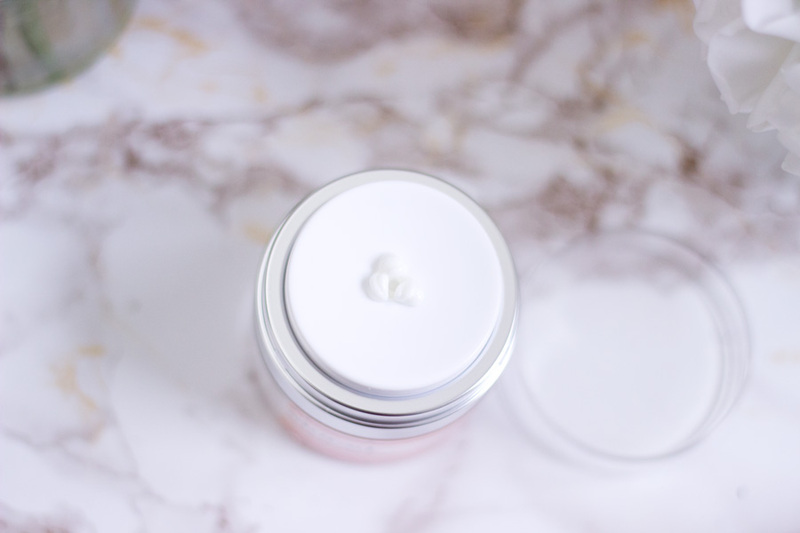 My favourite packaging from all the products I have tried is definitely the City Skin Overnight Detox Moisturiser which comes in a tub with a modern dispenser lid. All you need to do is hold down the lip and the exact amount of product needed for one application comes out. I love that because it prevents unnecessary waste of products. 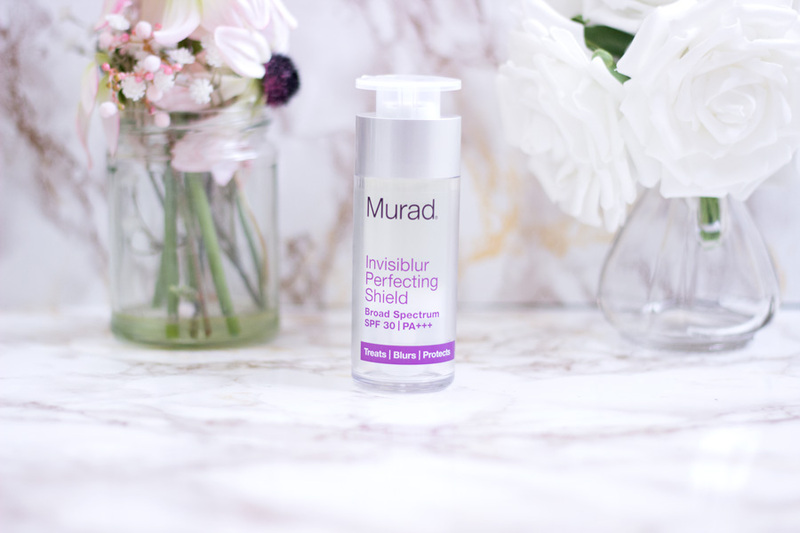 I just have to start with my favourite product from Murad and it is one that I know has quite a cult following. It is from the Age Reform range which has a purple theme. I love that each range has a different colour theme which is eye catching. 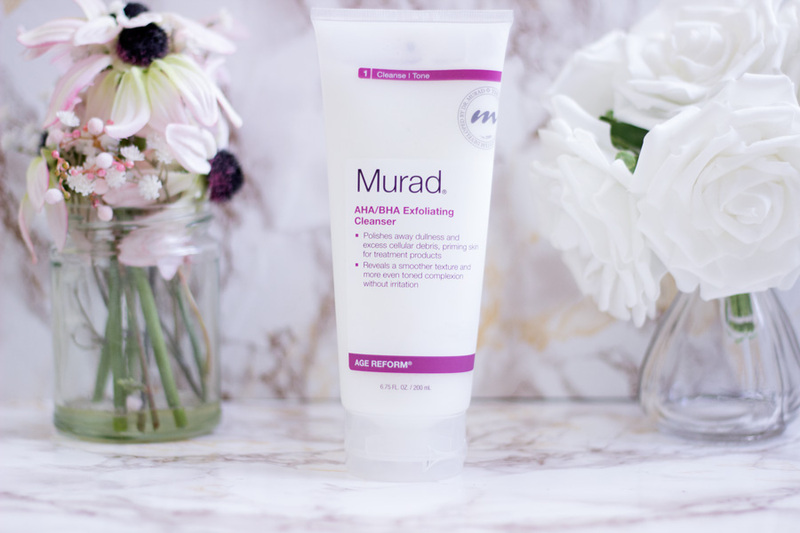 I have read several raving reviews about this cleanser and now I can see why. It is an absolutely amazing cleanser and I have been using it consistently since I got it. Looking back now, I have used it every single day (at least once a day) since it arrived and this says a lot because I have other cleansers I can alternate with. However, I still find myself using it. This is mainly because it does the job. It cleanses my skin and exfoliates it at the same time which is brilliant. I have never been a fan of manual or physical exfoliators because some of them are quite abrasive. 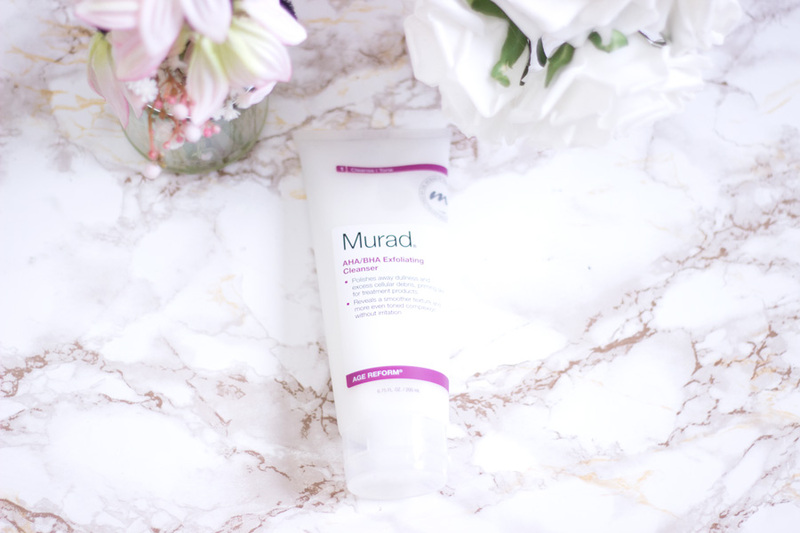 Thankfully, that's not the case with this Murad Cleanser as it does the job without aggravating the skin. It contains Jojoba beads which are gentle yet effective at getting rid of dead and dry skin. 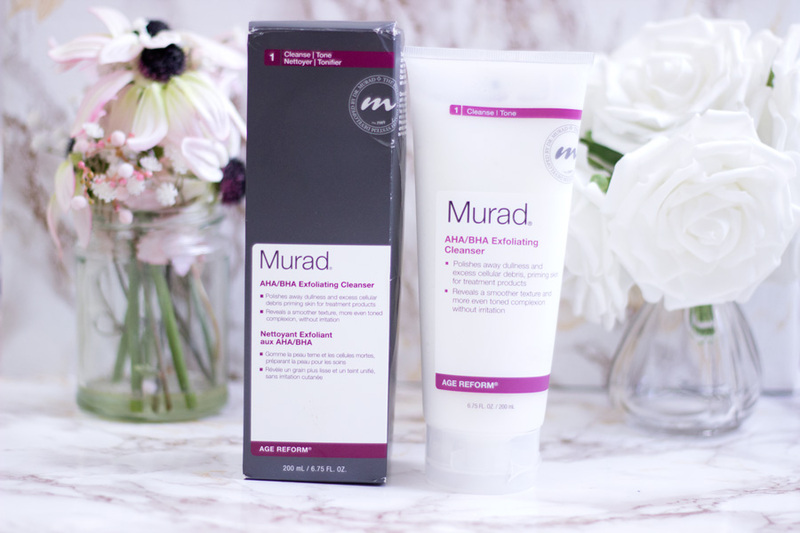 This cleanser also contains chemical exfoliators which are known for renewing the skin's surface. 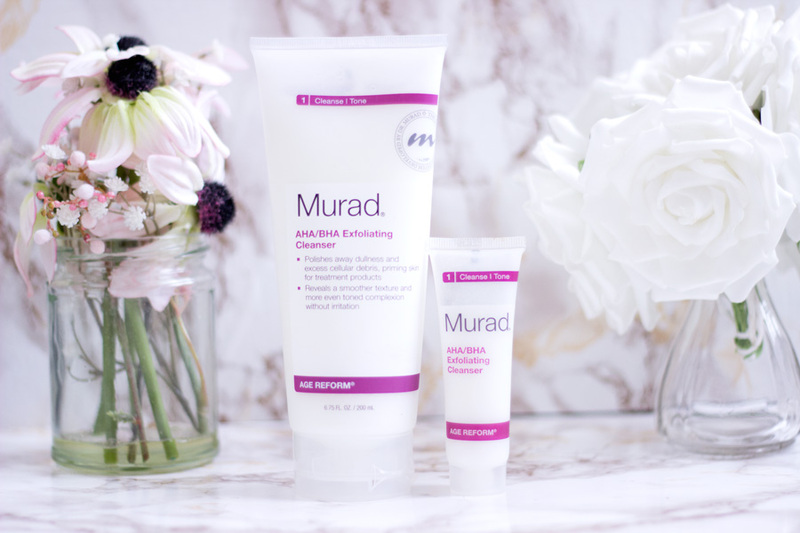 These chemical exfoliators include Glycolic Acid, Lactic Acid and Salicylic Acid. These are ingredients I look out for in skincare products because they work well with my skin. The Salicylic Acid is a BHA which sinks into the pores and clarifies it of any impurities thus preventing breakouts. The Glycolic Acid and Lactic Acid help remove dead skin and reveals new fresh skin. I particularly love that it contains 200 ml of product which is a decent amount giving its price tag of £35 but it is totally worth it and more. I am already halfway through my tube and I believe with everyday use, this tube can safely last for at least 4 months! 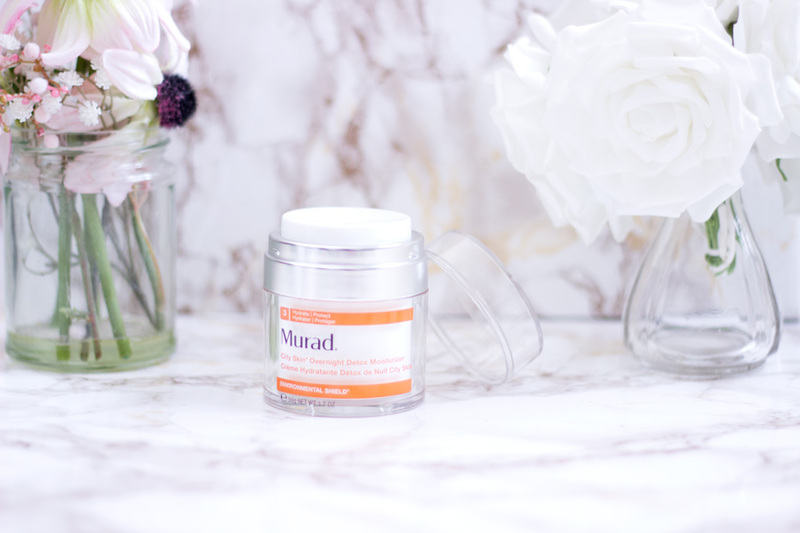 I love the ideas of peels because I know they can help get rid of dead skin and hyper pigmentation in the process so I was delighted to try this product. I had actually tried a mini sample of this Peel so this was not completely my first time using it. 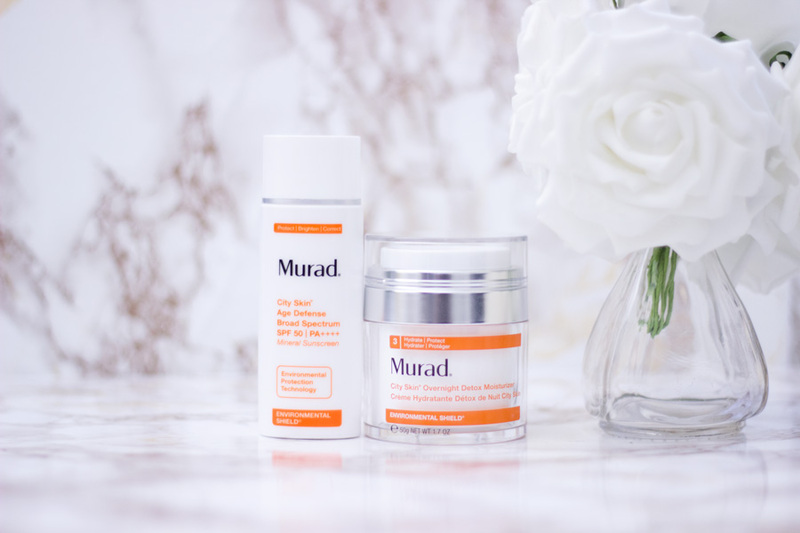 Murad describes the Intensive C Radiance Peel as an intensive treatment that instantly brightens the skin to reveal a more radiant complexion. It also offers smoothing, hydrating and exfoliating skin benefits. 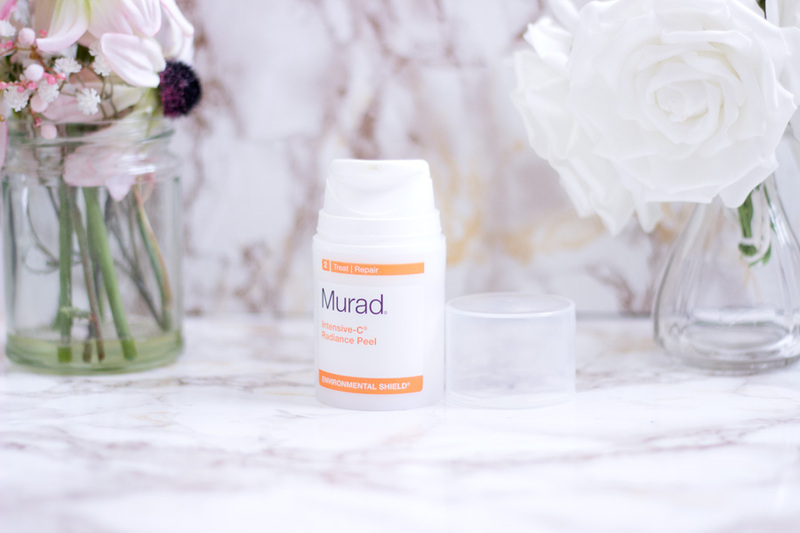 I know many people may be scared of the word "peel" but this Murad Peel is completely safe, simple and easy to use at home. From the name, you can already guess that it contains Vitamin C which is known for its skin brightening properties. 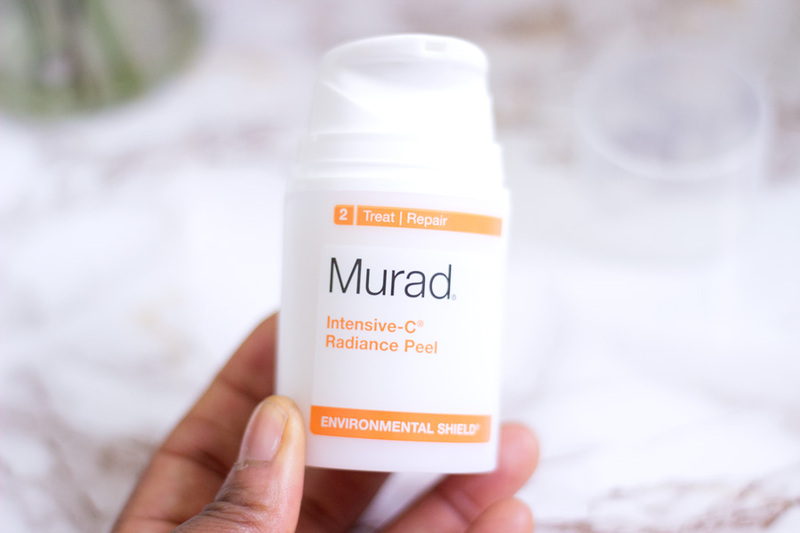 The main ingredients in the Intensive-C Radiance Peel include Glycolic Acid, Antioxidants (Vitamin C) Myrtle Extract and Indian Fig among other ingredients. The first time I used it I noticed tingling which I expected but I was surprised because it was very noticeable. I have always felt that my skin is used to all sorts of AHAs, BHAs and Vitamin C so this not-so-subtle tingling feeling was new to me. 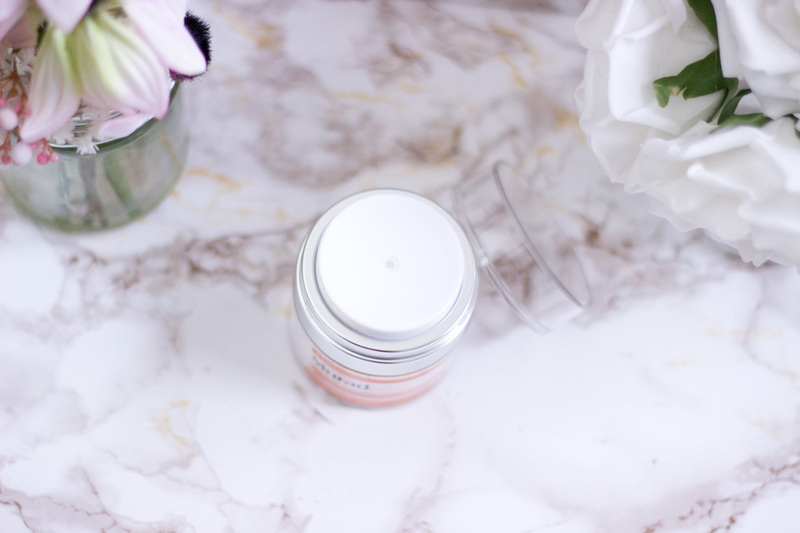 However, I was quite pleased with this tingling because it made me feel like the product was working well to show a visible difference to my skin. It definitely did not disappoint. If you have sensitive skin, I would suggest trying a small amount (or perhaps ask for a sample) to test if you can cope with it. I use it once or twice a week, preferably at night so I can take my time and use it the recommended way. I start off with cleansing my skin and drying it before applying a decent layer all over my face (avoiding my eye area). It is recommended to leave it on for 10 minutes but I am always extra so I leave it on for 15-20 minutes (I suggest using it for 10 minutes as instructed especially if you are new to peels). I rinse off with warm water and I am ready for the rest of my skincare routine. I have to say that I still felt slight tingling after rinsing it off but it calmed down after a while. I think this tingling is mainly because it contains a high amount of Vitamin C (probably derived from lemon or a similar citrus fruit). 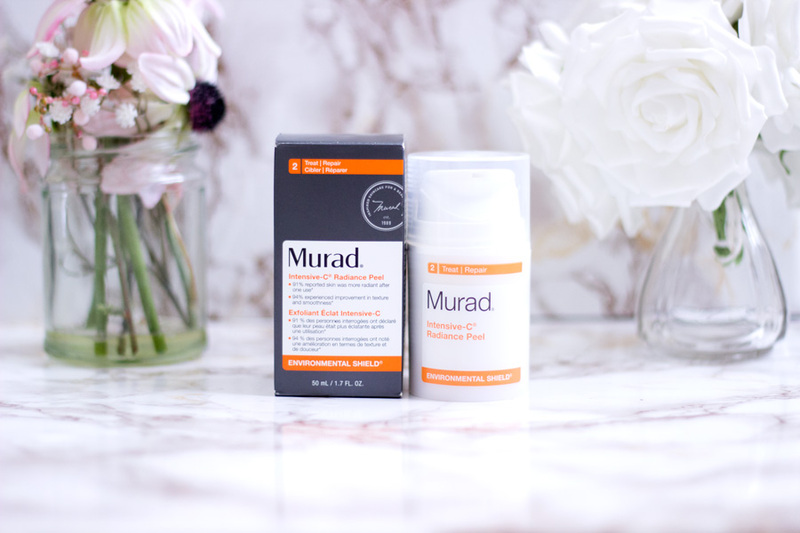 I totally agree with Murad's claim of an instant radiant skin. The first time I used it I was very impressed with the results and it seems to get better with each use. My skin had this lovely radiant glow and my face generally looked and felt healthy. I will be using it more often now that the weather is colder because that's when my skin plays up and looks dull. I would highly recommend giving this a try if you are looking to add some oomph back to your skincare routine. 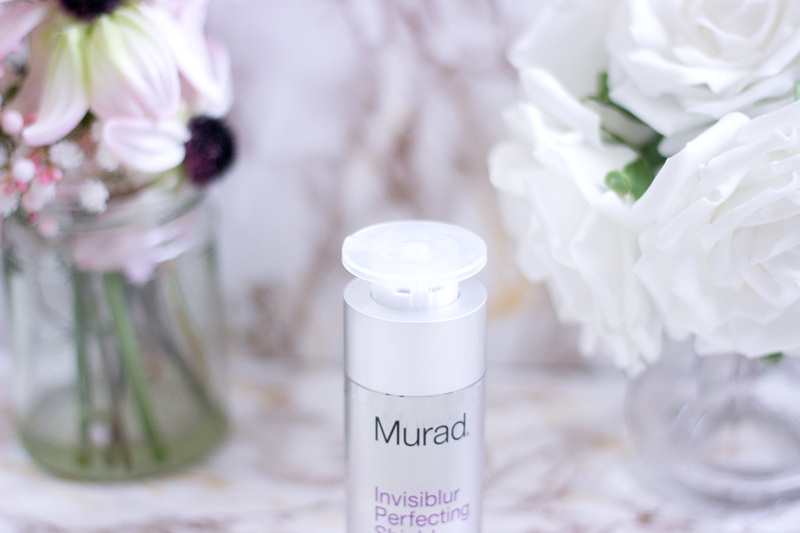 I think the Murad Invisiblur was one of the first products I tried from Murad which really impressed me. I had a deluxe sample and I used it a lot when I was on a city break. It was already on my wish list so I was super delighted when I received it in the post. 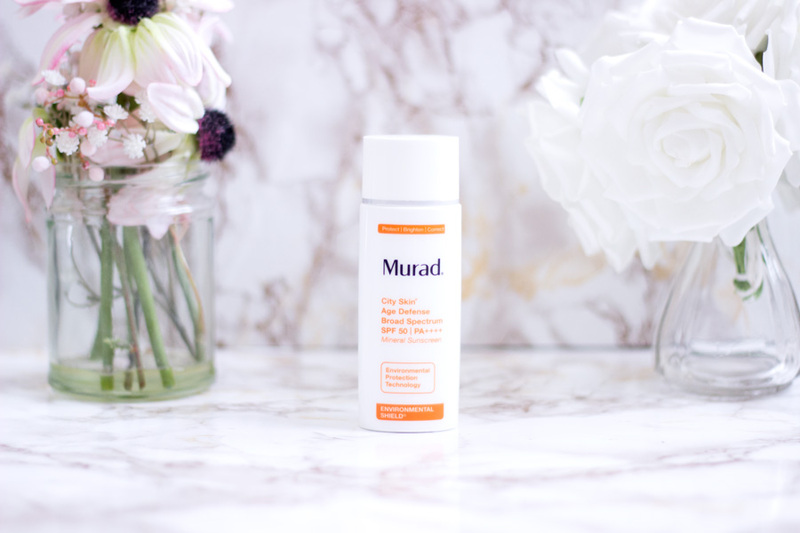 Murad describes it as an anti-ageing treatment which blurs, primes, protects and moisturises the skin with an invisible sunscreen to reveal a flawless complexion. I think most people assume it is just a regular primer so they can't understand why it is so expensive but it definitely offers so much more than a primer. First off, it contains sunscreen with SPF 30 which is pretty good and it is invisible so no white cast, blue cast or flashbacks. 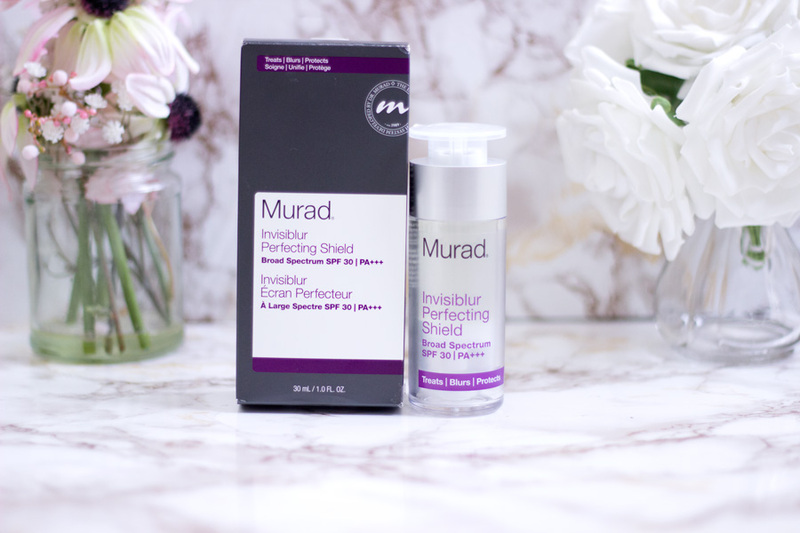 It also primes and blurs the skin leaving it demi-matte and a reduced appearance of enlarged pores. 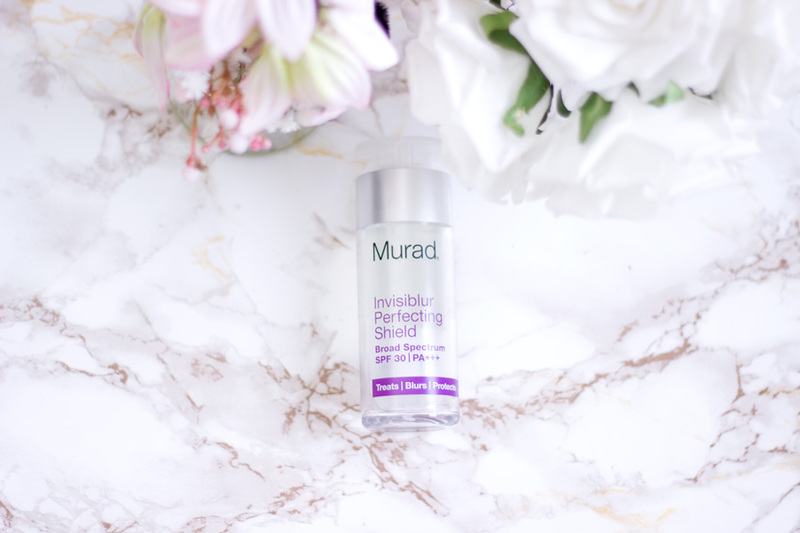 For me, I was mainly impressed by its blurring and priming properties because my skin always looks fabulous whenever I use this product under my makeup. My makeup also lasts longer with it which is great. It contains a unique formula consisting of Shitake Mushroom, Mucor Miehei, Barley, Sunflower, Cucumber extracts to mention a few. The consistency feels quite silicone-y (that slight slippery feeling) which I honestly don't mind because that appears to be the best kind of formula for my combination oily skin (plus enlarged visible pores). Without even applying my foundation, I can already see its blurring effect which I love. I am so pleased that it has sunscreen incorporated in the formula so I know if I ever forget to use sunscreen, I am covered. I am a massive fan of this primer and I absolutely love the packaging. I have traveled with it so many times and I have never had any issues with it. Love it and highly recommend it!! 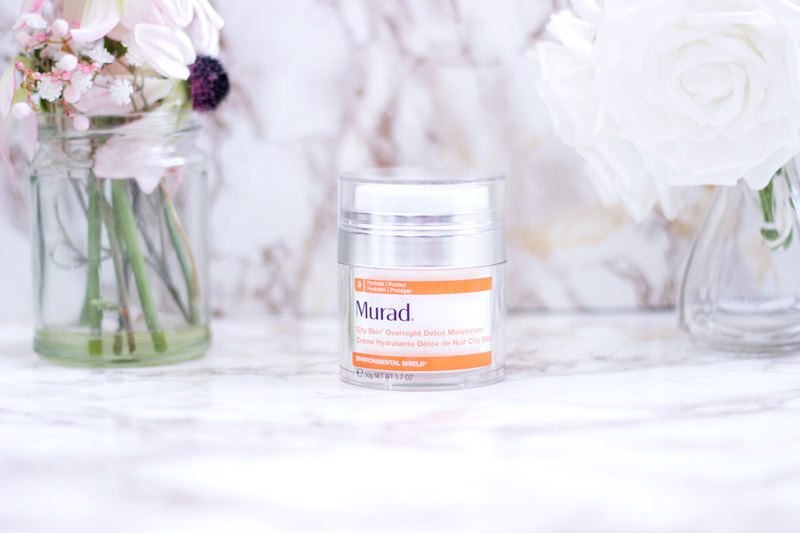 This was the product that made me fall deeply for the entire Murad skincare line. I believe this is a newer launch compared to the other products. 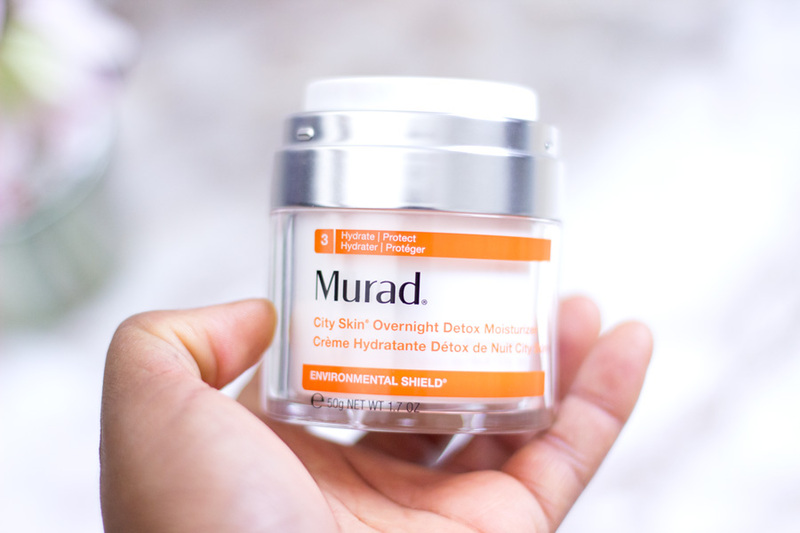 Murad describes this product as one with a breakthrough formula with super charged antioxidants which neutralises pollutants and strengthens the skin's barrier while you are asleep. I know I have already harped on about the packaging but I can't resist talking about it again. It comes in a tub with a great pump-lid design which means you don't need to dip your fingers into the tub as it comes out through the pump-lid hybrid. The main ingredients in this product include Marrubium Plant Stem Cells, Vitamin C, Jojoba, Ginger, Barley, Cucumber, etc. 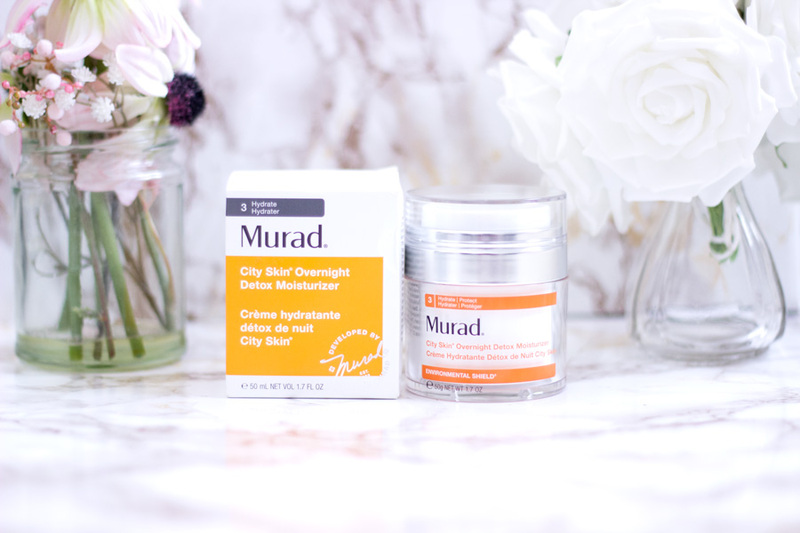 It has a lovely hydrating texture that sinks right into the skin. I tend to massage it in for a little while so I can get all the benefits. I always wake up to revitalised skin whenever I use it the night before. I am currently working smack in the Central London which means I have to commute via Tubes and Trains which are the main hubs for pollution and germs. 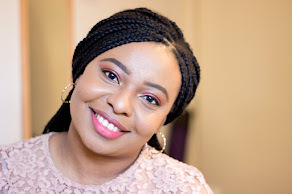 I honestly believe this City Skin Detox Moisturiser has been saving my skin in so many ways because I have not experienced any issues with my skin. I strongly believe this because I gave my skin a break from it so I can try other products and my skin went crazy so I am getting back to it. If you work in the City or any area where your skin is exposed to free radicals, pollution, germs, etc, I will highly recommend giving this a try. 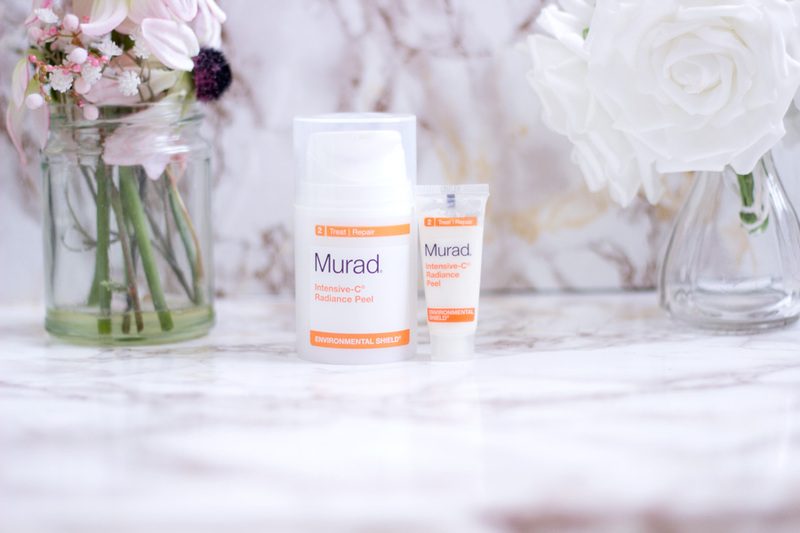 Last but nowhere the least is the Murad Mineral Sunscreen also from their City Skin range. 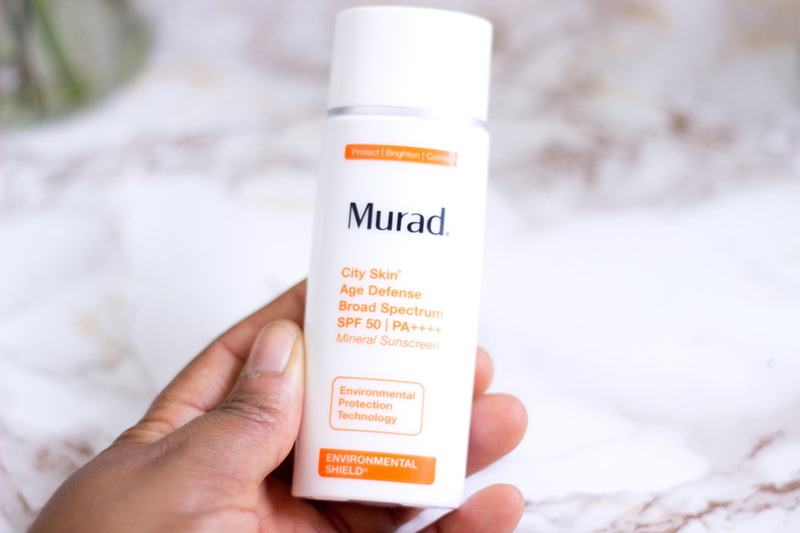 Murad describes it as a revolutionary ultra light mineral broad spectrum PA ++++ and SPF 50 Sunscreen with their innovative Environmental Protection Technology . I was mainly excited to try this sunscreen because there was a list of what it protects the skin from and they include: Blue Light (from devices), Pollution, Infrared Radiation, UVA and UVB rays. It does not get any more broad spectrum than this. I am all for the Blue Light protection because I am always using my phone especially in the evenings. It is a mineral sunscreen so its sunscreen ingredients inclue Zinc Oxide and Titanium Oxide. I love that it is a very lightweight formula. It looks like a peach pink shade straight from the bottle but it appears clear on the skin. As a dark skinned woman, I am very concerned about sunscreens that give off either a blue case, white cast or flash back and I am happy to report that this does not give off any cast or flashbacks. It gets absorbed really quickly and does not feel greasy like some sunscreens. If you are much darker than me, I don't think it should give off any cast but it will be great if you tried out a sample in-store to be sure. 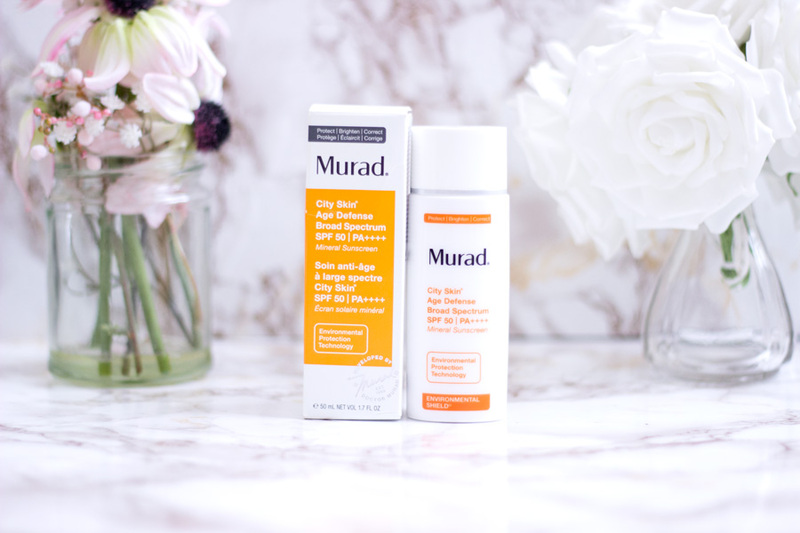 I have been using this more than my other sunscreens because I like the formula and it is a a very compact size (50ml) so I can throw it easily in my bag. 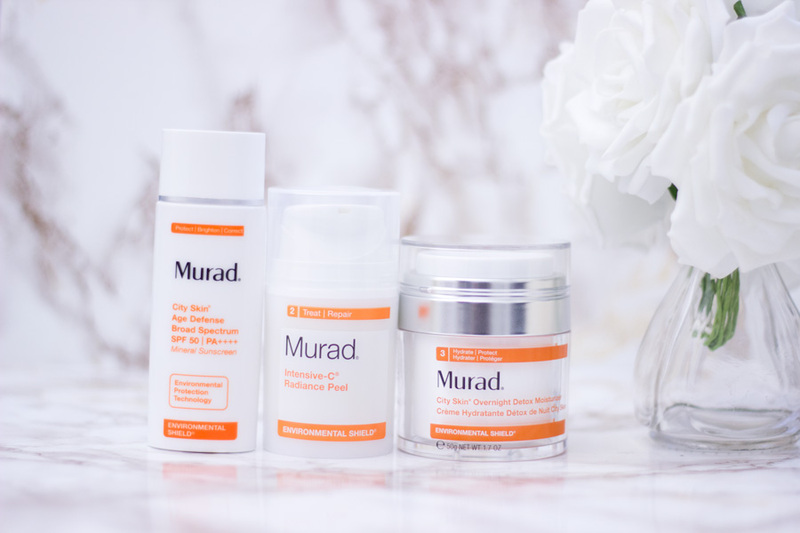 Murad Skincare can be purchased directly from the Murad website where there have a bigger array of products to choose from. If you prefer seeing products before committing, you can pop into House of Fraser to check out their lovely counter in-store. Mrad Skincare products are also sold in other retailers including John Lewis, Look Fantastic, etc. 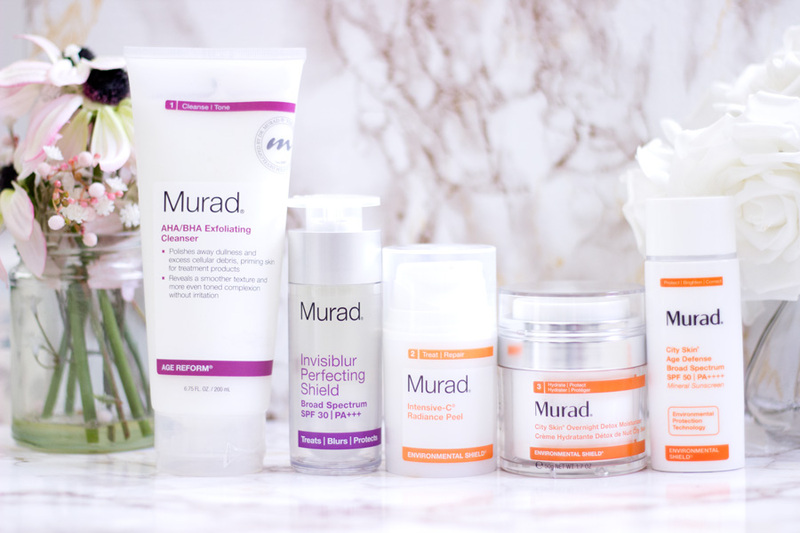 I have tried these products for a long while and I still find myself reaching for them over some of my other skincare products. 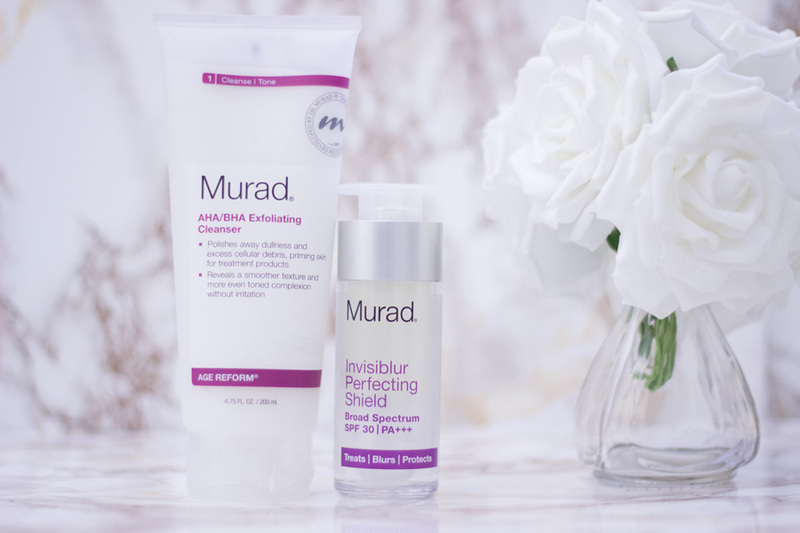 My favourite products so far include the AHA/BHA Exfoliating Cleanser, the Invisiblur Perfecting Shield and the City Skin Overnight Detox Moisturiser. That's pretty much my review. 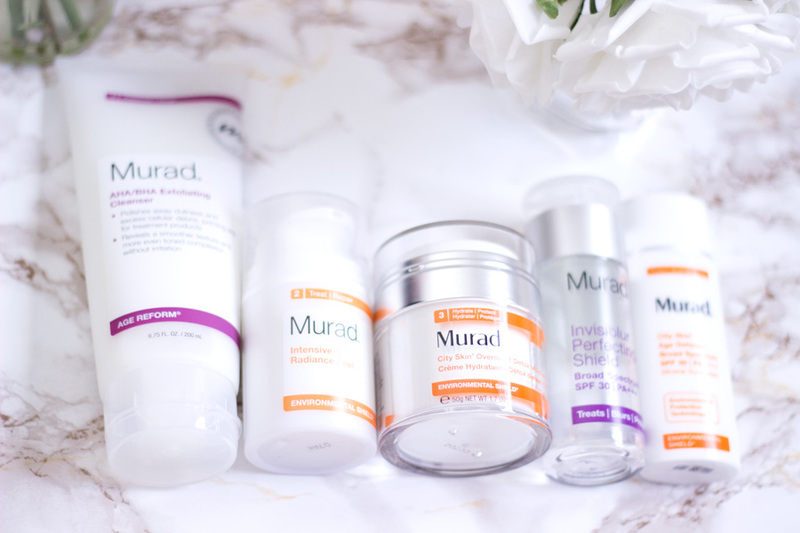 Have you tried any products from Murad Skincare?